Mexico Dental Implants is located in Tijuana, just across the border from San Diego, California. Tijuana is the best location in the world for dental tourism because it is so easily accessible from the USA. Some dental treatments, like dental implants, require multiple phases, and at times a dental treatment requires follow up. When patients chose a distant location, like Costa Rica, or Thailand, a second or third trip makes going to those locations both expensive and inconvenient. Tijuana is close, and inexpensive. That is why more people come to Tijuana than any other destination for dental tourism. That is also why we have the best dentists, both from the fact that the best dentists are attracted to come to Tijuana, and also because they gain the most experience. Un until recently, the answer would have been no. However, both the US Customs will ask for a passport to prove citizenship to re-enter the US, and the Mexicans are also now asking for a passport in order to fill out a tourism form. If you are having a dental emergency, or don’t have time to get a passport, they are not too strict on those requirements yet, and a photo i.d. like a driver’s license, and a second I.d. like a birth certificate, will still work. However, things will go smoother if you go ahead and get the passport. 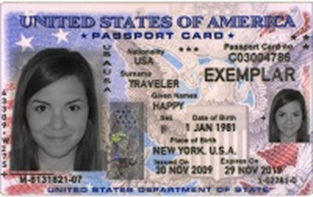 We suggest getting a Passport Card, over a Passport Book, (you can get both). The Passport Card has a chip in it that allows you to use the Ready Lane, which move s faster when you exit through US Customs. Like any big city, there are areas of town where you would want to avoid after dark, like the Zona Norte. Nevertheless, despite what media bias you may have heard, Tijuana is a relatively safe place. Our clinic is in the Zona Rio, which is the nicest, and safest part of the city. The crime rate for Tijuana is about the same as San Diego, and is certainly very much less than in Los Angeles, or other major cities like Oakland, Chicago, Washing D.C., or New Orleans. There are over 20,000 Americans living in the area between the border and Ensenada. This is because it is a safe and delightful place to live. How are the hotel accommodations? The truth is, you are much better off staying in Tijuana. This is because you get more for your money, the hotels are nicer here, for a much lower price. Also, because we can arrange transportation to and from the clinic to the hotel, if you are in Tijuana. We can’t take you back and forth to a hotel in San Diego. (Although, at the Best Western Americana Inn, in San Ysidro, CA will transport you, but they charge extra for your nightly stay.) Please check out our page “Hotel Info”. How do I Travel to the US/Mexico border? If coming by car, you can drive down either the Interstate 5 or 805. Both merge together right at the border. Read the page: “driving Instructions” for details. If you are driving a rental car, you will need to make sure they allow you to drive it into Mexico, and get insurance on it first. Otherwise, just park it on the US side of the border, and follow the “Walking Instructions”. You can also take public transportation to the border. The electric train, aka the “Trolley” will take you right to the border crossing near our clinic.